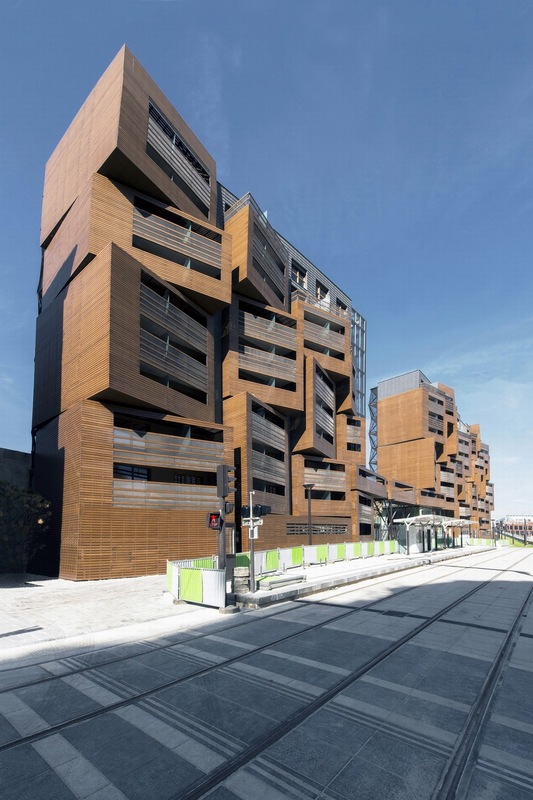 The project is located on a long and very narrow site, on the edge of Parc La Vilette in Paris’s 19th district, within an urban development done by Reichen & Robert architects. On the northeast, new Paris tram route is passing along the site. The site is bordering with tram garage on the southwest, above which is a football field. The first 3 floors share the wall with the tram garage. 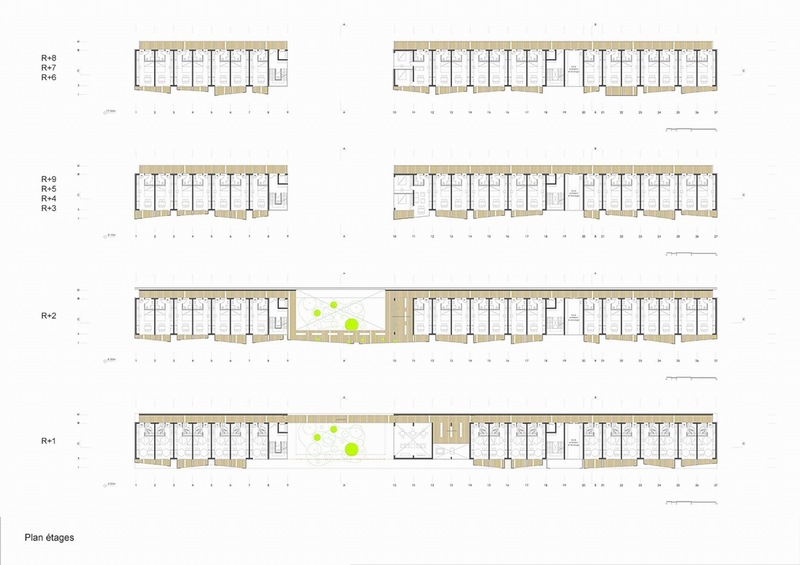 The parcel has a very particular configuration; 11m in width and extending approximately 200m north-south. 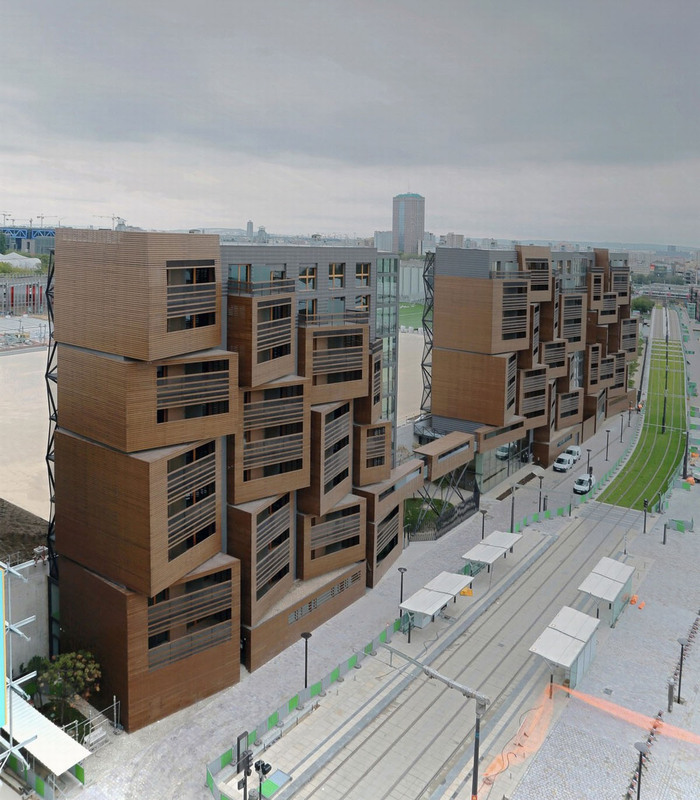 This foreshadows the importance of processing the eastern facade overlooking the extension of the street Des Petits Ponts which hosts the tram and both cyclist and pedestrian walkways. The long volume of the building is divided into two parts connected with a narrow bridge. Between two volumes there is a garden. The building has 11 floors: a technical space in the basement, shared programs in the ground floor, and student apartments in the upper nine floors. The layout is very rational and modular. The major objective of the project was to provide students with a healthy environment for studying, learning and meeting. Along the length of the football field is an open corridor and gallery that overlooks the field and creates a view to the city and the Eiffel tower. 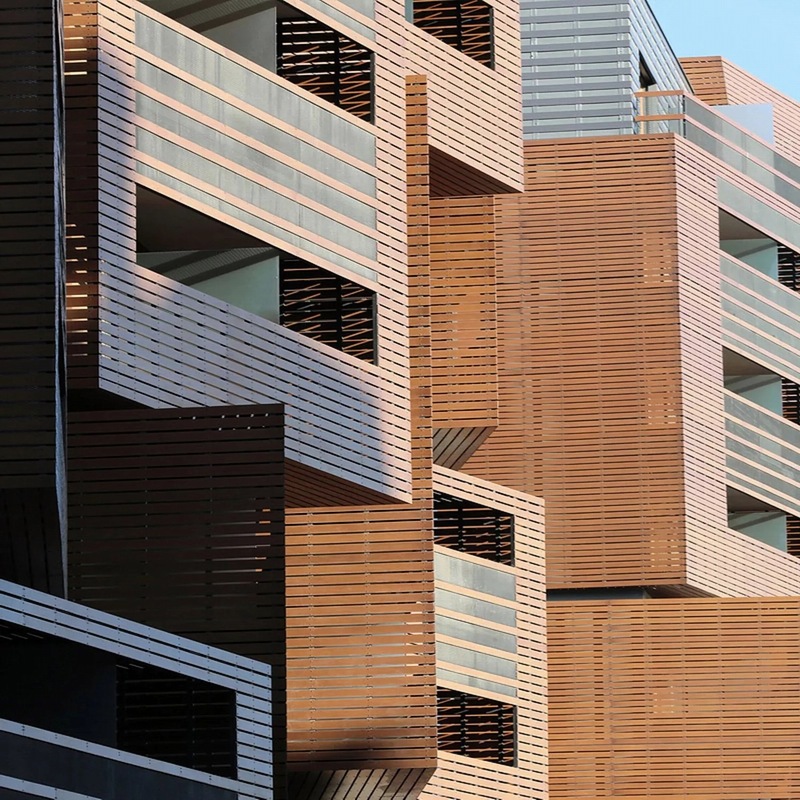 This gallery is an access to the apartments providing students with a common place. All the studios are the same size and contain the same elements to optimize design and construction: an entrance, bathroom, wardrobe, kitchenette, working space and a bed. Each apartment has a balcony overlooking the street. 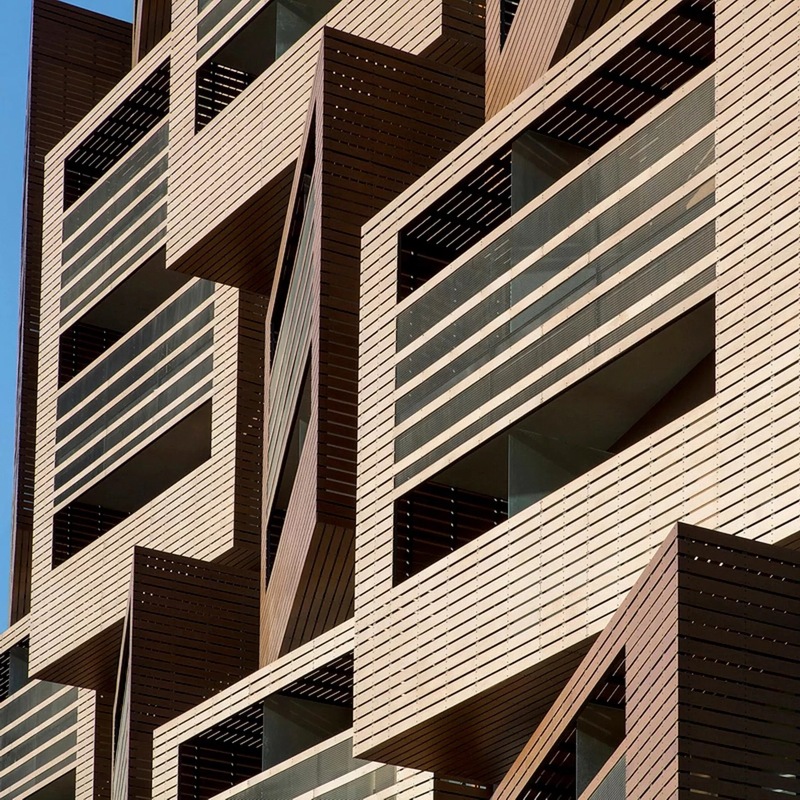 The elevation towards the street des Petits Ponts contains studio balconies-baskets of different sizes made from HPL timber stripes. 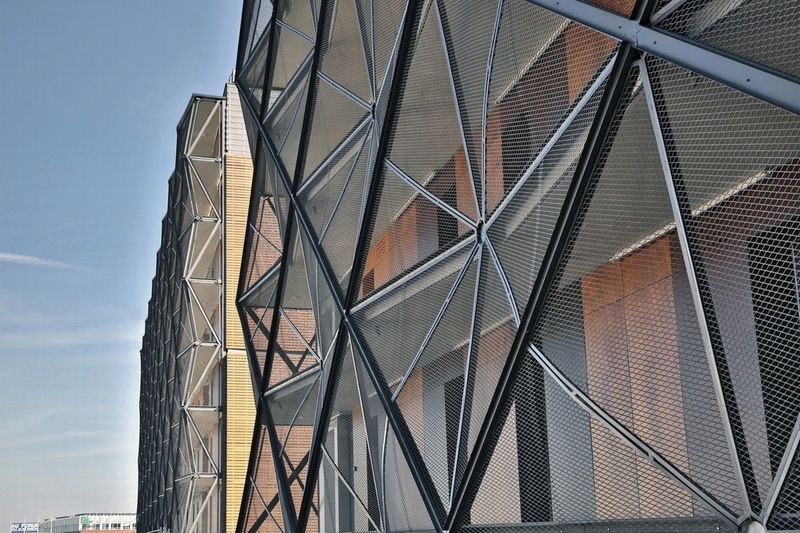 They are randomly oriented to diversify the views and rhythm of the façade. 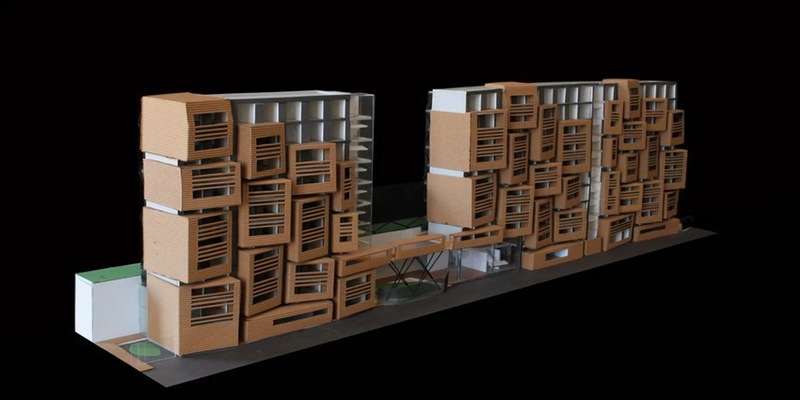 Shifted baskets create a dynamic surface while also breaking down the scale and proportion of the building. The elevation towards the football field has an open passage walkway with studio entrances enclosed with a 3D metal mesh. Both volumes are connected on the first floor with a narrow bridge which is also an open common space for students. 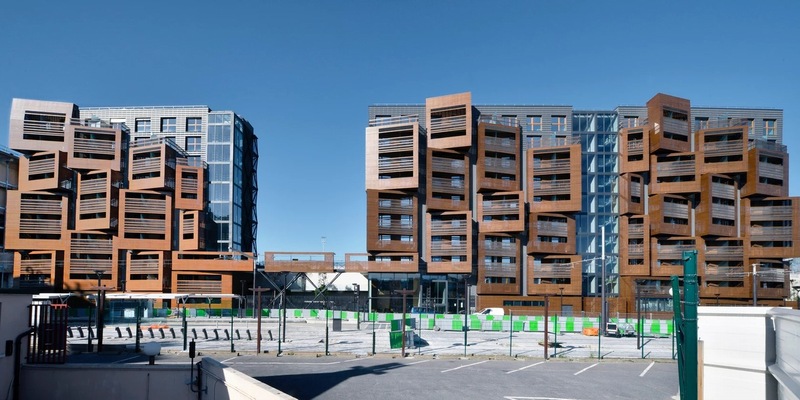 The building is energy efficient to accommodate the desires of Paris' sustainable development efforts. 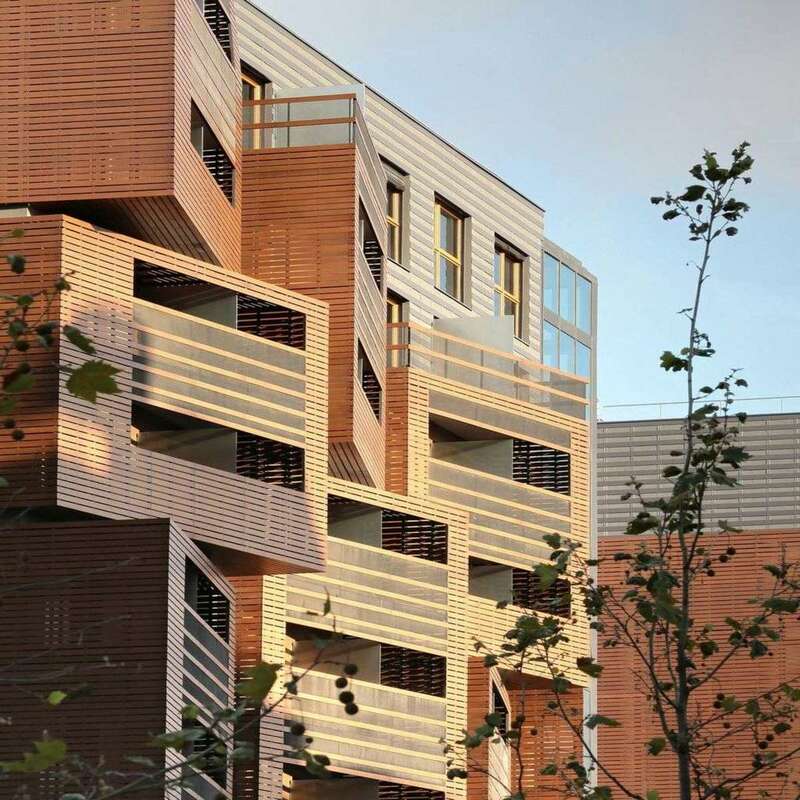 The Plan Climates goal is that future housing will consume 50KW-h.m.² or less. The objectives of energy performance and the construction timetable were met by focusing on a simple, well insulated and ventilated object that functions at its best year round. Accommodations are cross ventilating and allow abundant day lighting throughout the apartment. 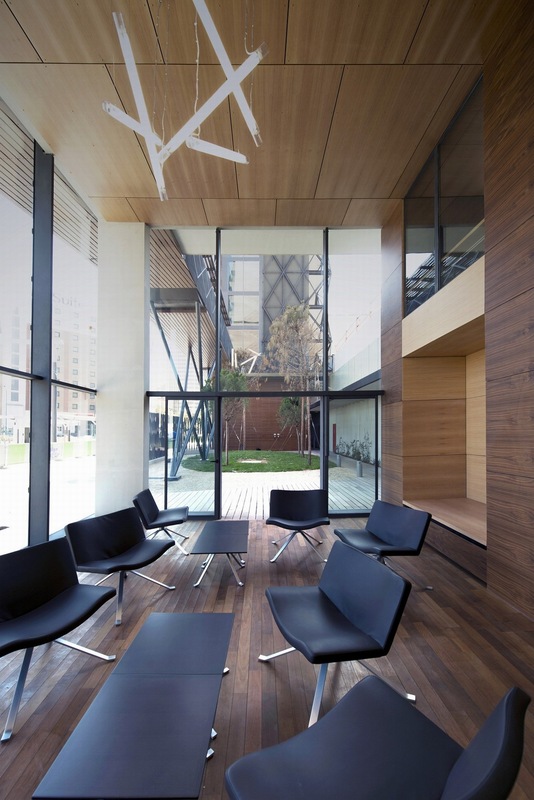 External corridors and glass staircases also promote natural lighting in the common circulation, affording energy while also creating comfortable and well lit social spaces. The building is insulated from the outside with an insulation thickness of 20 cm. Thermal bridge breakers are used on corridor floors and balconies to avoid thermal bridges. 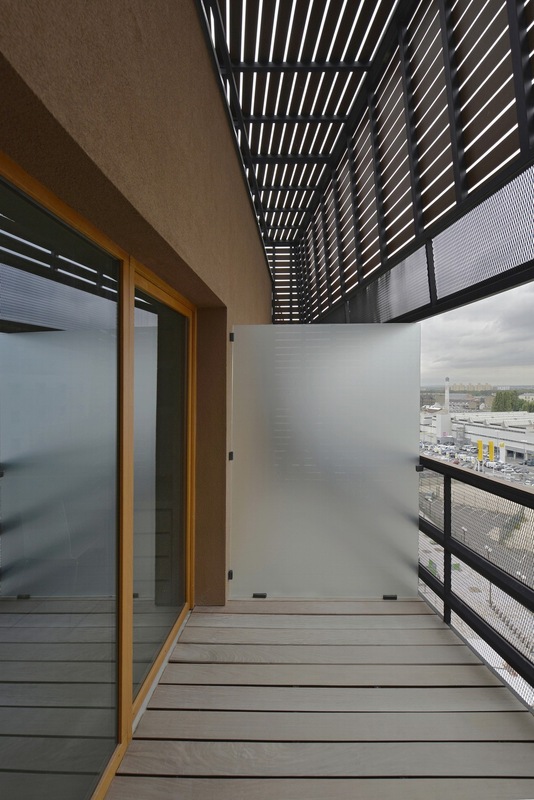 Ventilation is controlled by double flow mechanical ventilation, providing clean air in every apartment with an optimum temperature throughout the year. The incoming air also reuses heat from the exhaust air. The roof is covered with 300m² of photovoltaic panels to generate electricity. Rainwater is harvested on site in a basin pool used for watering outdoor green spaces.